Home / Villages drowned with water and now appearing like Islands. Villages drowned with water and now appearing like Islands. TABA Flood Relief 2014…….there are villages which drowned with the water and now while the water is settling….appearing like islands cut off from the main supply routes from rest of the world. People use boats (if any) for emergencies. 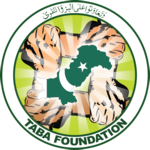 TABA Flood Relief 2014…….there are villages which drowned with the water and now while the water is settling….appearing like islands cut off from the main supply routes from rest of the world. People use boats (if any) for emergencies….watch.